What type of vinegar do sushi restaurants use? Instead of looking at the topping, take a moment to focus on the vinegared rice (shari). This shari is made of a blend of red and white vinegar. When the Edo style sushi first appeared, red vinegar (made from fermented sake lees) was used for the sushi rice. Approximately 200 years ago Matazaemon Nakano, founder of Mizkan (a condiment manufacturer) invented red vinegar, which circulated and was used throughout Edo. At the time, red vinegar was used because it was more inexpensive than vinegar made from rice (white vinegar). Instead of looking at the topping, take a moment to focus on the vinegared rice (shari). This shari is made using only white vinegar. Nowadays the more fragrant rice vinegar (white vinegar) is used nearly exclusively but increasingly more shops have rediscovered the full-bodied but mild red vinegar and are using it in their dishes. Various restaurants have even come up with new ideas such as blending multiple vinegars or using different vinegar depending on the fish. Ultimately the sushi chef can exercise their own ingenuity in matching topping flavors with white or red vinegar. 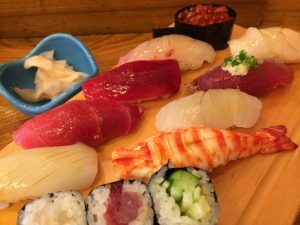 Posted on April 28, 2017 Categories EdomaesushiTags Akazu, Nigiri sushi, Red vinegar, Shirozu, White vinegarLeave a comment on What type of vinegar do sushi restaurants use? 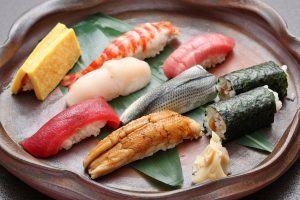 Surprisingly, there are sushi restaurants established from over 100 years ago in Tokyo. About 200 years ago (around 1810-1830), Yohei Hanaya opened up the oldest nigiri sushi restaurant in Japan. It is said that this was the beginning of edomaesushi. As expected, none of the restaurants remain to this day, no matter how popular they were in those days. However, if relating to those lasting more than a century, as many as 10 still exist in Tokyo. It is such a surprise and many respect that they’ve managed to survive, still keeping their business running now. We will introduce those old restaurants in the order of its establishment. First started as a stall in 1861 at Nihonbashi area, relocated to Kudanbashi and then opened the restaurant in 1923. The beauty of wooden architect managed to survive the war and it has a 100-year history. They carefully prepare sushi ingredients with appropriate amount of vinegar and salt. Take Kohada for instance, they adjust the amount of salt depending on the thickness of fish fillet, fat content, temperature and humidity of the air. Check the glossiness of the vinegared kohada fish, and decide the best timing to serve. Enjoy superb sushi prepared with the traditional recipe passed on for generations. During the end of Edo period, many of samurai lords who had served for Tokugawa government lost their jobs. Many of them disguised themselves as dango rice dumpling seller. The first owner of Yahata-zushi was one of them, started the business as dango rice dumpling stall and then the second generation owner began serving sushi. The fourth and fifth chef now run the kitchen behind the counter. The fourth chef has a 62-year experience and he is the respected patriarch chef in Tokyo and serves traditional Edomae-style sushi with careful preparation. The fifth chef adheres to basic principle of sushi making while embarking on new-style. 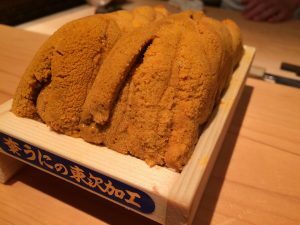 He uses sun-dried salt produced in the French Basque Country for well-matured akami red fish such as tuna, and sea urchin from Hokkaido. 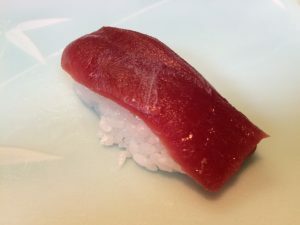 Other must-eat ingredients are, the highest quality tuna from long-time partner vendor at Tsukiji market and rare tuna caught at the sea near Miyakejima island and matured for good five days. Opened in 1879, Yoshino sushi has served excellent Edomae-style sushi. Now the fifth-generation owner runs the restaurant. 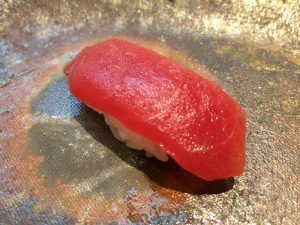 The second-generation owner first started using Toro, fatty tuna meat while most of the chef discarded it. That was because food freezing was not in widespread use at that time and fatty content of fish went bad quickly. Soon Toro was quickly raved by their regular customers as delicious treat. 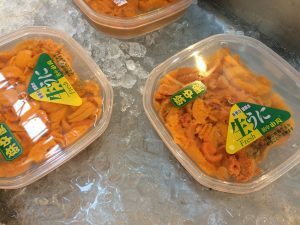 First it was called “abu” as it came from “abura” meaning fat in Japanese, but it didn’t sound as good as it tastes, so they changed it to “toro” meaning mild and tasty. They will feed you interesting stories to go along with sushi dish. One of them is that they had never considered Gunkan roll of ikura and uni sea urchin as sushi since Gunkan never requires hand rolling techniques as other hand roll sushi does. They use only salt and vinegar to make sushi rice not a slight use of sugar and mirin. And then they carefully prepare fish ingredients to go with vinegared rice. Enjoy delicious sushi dish however you like in a casual atmosphere. 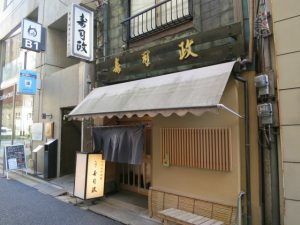 Posted on April 11, 2017 September 12, 2018 Categories TriviaTags Nigiri sushi, Sushi History, Sushibar information3 Comments on Surprisingly, there are sushi restaurants established from over 100 years ago in Tokyo. Why is it important to avoid wearing too much perfume? 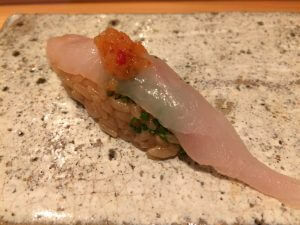 It is often said that the taste, texture and fragrance of sushi should be enjoyed. For example, the striking scent with traces of acidity that gives you a sense of the iron content in tuna. Abalone has a salty fragrance with an abundant seaweed smell. Don’t let perfume get in the way of your enjoyment of the joy of smoked straw scent that penetrates your nose the moment when you put dried bonito in your mouth. 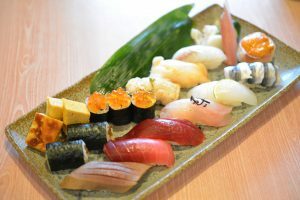 Posted on April 3, 2017 September 12, 2018 Categories Basic KnowledgeTags Nigiri sushi, Table MannersLeave a comment on Why is it important to avoid wearing too much perfume?